Nancy served as an icon, a leader and a visionary in the sewing world. She paved the way for many other women to become entrepreneurs and business owners. In 1979, she founded Nancy’s Notions, based in Beaver Dam, Wisconsin. St. Louis’ Tacony Corporation purchased the company in 2003, and Nancy stayed on as the company’s chief spokesperson, teacher, and creative voice. Nancy also founded the Public Television show Sewing with Nancy in 1982 – now the longest-running sewing and quilting program on North American television. She authored multiple sewing how-to books and inspired countless sewing enthusiasts across the U.S. and throughout the world. After a long battle with cancer, Nancy passed away at home surrounded by family on November 14,2017. A private service is planned with family and close friends. 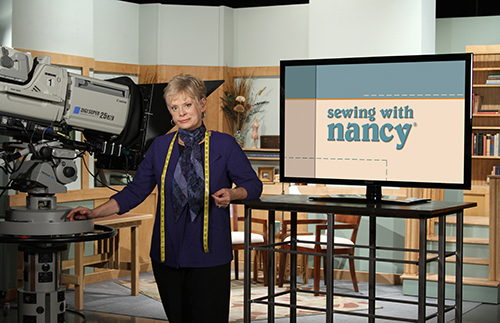 The 2017-2018 season of Sewing with Nancy will run in its entirety, showcasing a mix of new programming that was taped prior to Nancy’s retirement this fall and encore presentations of some of the most popular topics from past seasons. In August, Nancy expressed her hope that Sewing with Nancy will continue for years to come. In lieu of cards and flowers, donations may be made in Nancy’s name to Wisconsin Public Television or to a local hospice organization. Founded in 1979 by inspirational sewing educator Nancy Zieman, Nancy’s Notions began as a small, mail-order company operating from Nancy’s kitchen table and grew into a multi-channel retailer serving sewing and quilting enthusiasts around the world. Founded in 1946 by Nick Tacony, Tacony Corporation is a privately held manufacturing and distribution company operating in four strategic business units: sewing, home floor care, commercial floor care, and ceiling fans. With more than 650 associates in 13 offices around the world under the leadership of CEO Kristi Tacony-Humes, Tacony’s mission is to create long-lasting relationships that are based on trust and feel like family. For more information, visit www.tacony.com.